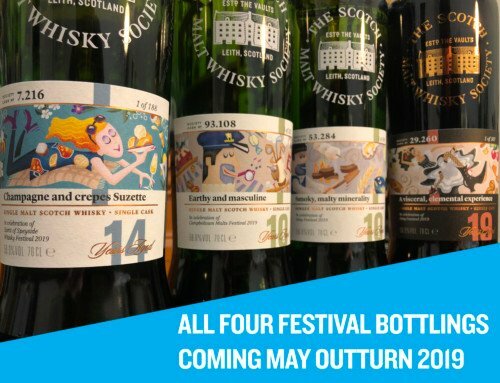 Launching 16th November is the Scotch Malt Whisky Society’s hugely-anticipated bumper festive Outturn! It’s not only our biggest offering of casks and good reads each year, but for 2018 has had an entirely fresh redesign to really brighten everything up in time for Christmas. 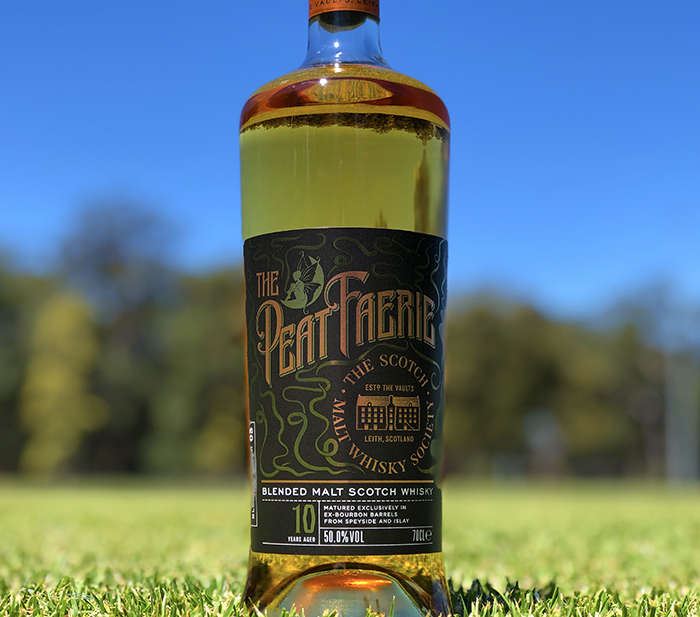 After successfully seeking approval from members for The Scotch Malt Whisky Society’s first small batch blended malts, (Exotic Cargo), Peat Faerie is the next batch in the experimental series. 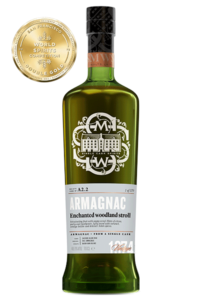 It’s 10-years-old, matured in a selection of first-fill Speyside and Islay casks. 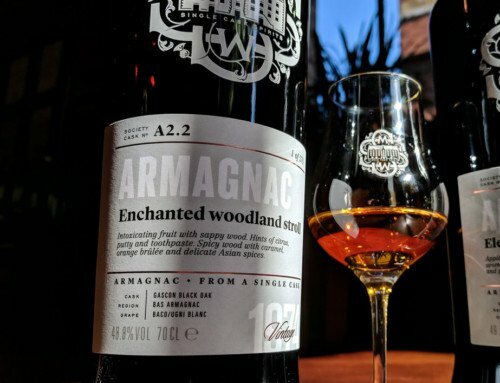 As with previous blended malts, Peat Faerie is bottled at 50% abv and there are 3,000 bottles available globally, and 204 available for Australian members. 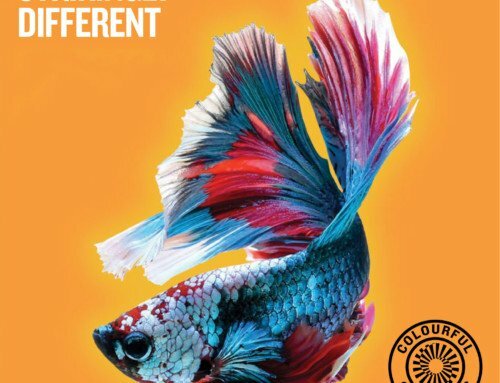 It is neither chill-filtered nor coloured – all natural ingredients. What is its flavour profile? The Tasting Panel describes Peat Faerie as “a perfect balance of earthy peat smoke, farmyard muscle and occasional coastal freshness” with a soft but smoky heather ale note emerging on the nose. The peat makes itself known on the palate, “a big, bold and leanly muscular wave of drying phenols and hot air from a peat furnace”. Water unveils more citrus scents – lemon wax and orange bon bons – alongside Kirk’s Creaming Soda and smoked tea, while producing notes of roasted pine cone and frying bacon on the palate. How did the Society set about creating Peat Faerie? 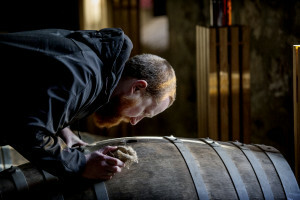 SMWS spirits manager Euan Campbell (pictured) had a desire to experiment with a peat-influenced small batch blended malt and sought out casks that could achieve his visions. 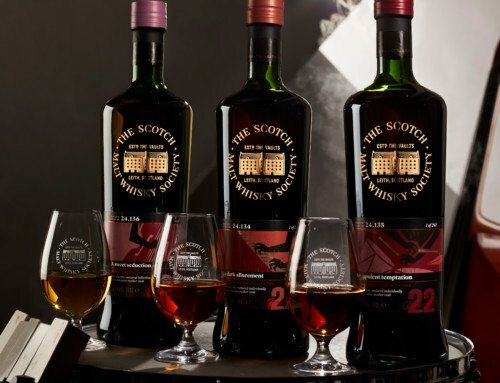 Once Euan was happy with the separate regional recipes, he combined them in a number of different proportions and strengths, which were all assessed blind by the SMWS Tasting Panel. 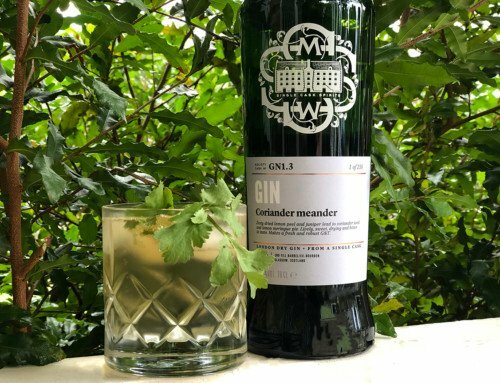 The finished blend was the highest scoring of all the samples, reduced to 50% abv which was found to be the most pleasing strength for drinking. What whiskies are in the blend? While we have revealed that the casks used in the blend have come from both Islay and Speyside, as with the rest of our whiskies, we will not reveal the exact provenance of the malts used. 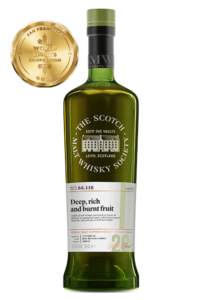 The goal here is to enjoy an immensely enjoyable blended malt and as always, focus on the flavour rather than the names, and see what you find! What’s the difference between a blended malt whisky and a blended whisky? Blended malt whisky refers to a combination of single malts, married together from more than one distillery. Unlike a blended whisky, a blended malt whisky does not contain any grain whisky.  Prior to 2009, blended malts were sometimes also referred to as vatted or pure malts, but those terms are no longer permitted by the Scotch Whisky Association. Will there be more blended malt bottlings in the future? 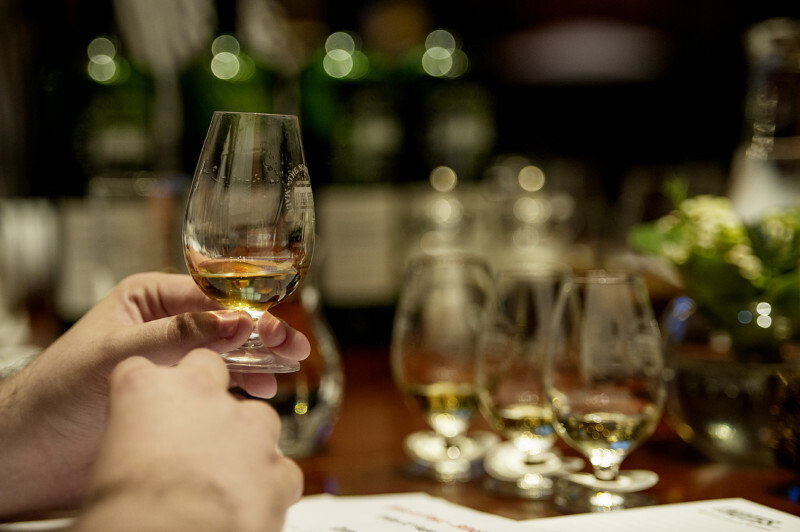 As long as the whisky continues to meet the exacting standards of our members and the Tasting Panel, we will continue to release the occasional blended malt and provide our members with as diverse a selection of whiskies as possible. Remember however, the Society is all about single cask, cask strength, single malts and grains first and foremost. These experiments are precisely that: opportunities for members to taste something a bit different where flavour was key in a different light. 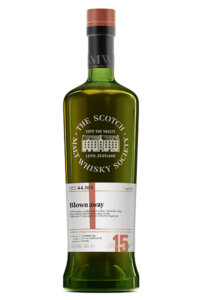 The Society’s bumper festive Outturn goes on sale at midday, 16th Nov 2018, with every bottle only available to members and only from smws.com.au. 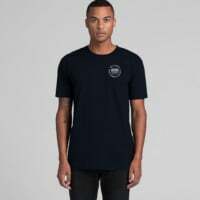 If you’re looking to join the Society, click here.